This standard specifies and provides requirements for the reference measurements of reactor geometry, reactivity, and operation parameters in light water power reactors. The measurement data are used in the verification of reactor physics computational methods used for nuclear core designs and analyses. 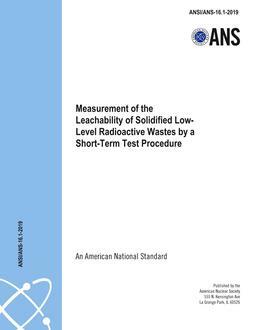 This standard identifies the types of parameters, a brief description of test conditions and experimental data required for such reference measurements, problems and concerns that may affect the accuracy or interpretation of the data, and the criteria to be used in documenting the results of reference measurements.